If you just want to have fun on the water don't go any where else. and several packages in each size. The lightest, most portable kayak is the versatile Sea Eagle 330. It weighs just 26 lbs. and packs down small enough to fit in the smallest car boot. Don't let the light weight fool you, it's a rugged kayak able to hold 2 people or 500 lbs and yet easy enough to be carried and paddled by one. The Sea Eagle 330 has a big sister, the 370. It's just 6 lbs. heavier (32 lbs.) and has a carrying capacity of 3 people or 650 lbs. You can carry enough gear for that long weekend trip of fishing, exploring or river running. 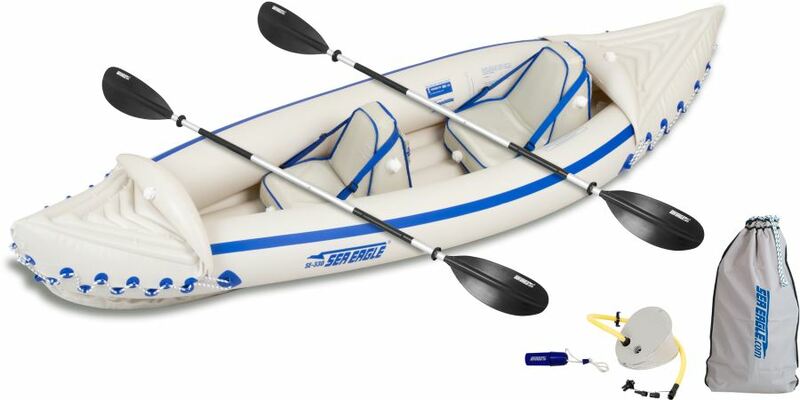 Form and function make the SeaEagle 370 a very popular inflatable kayak. 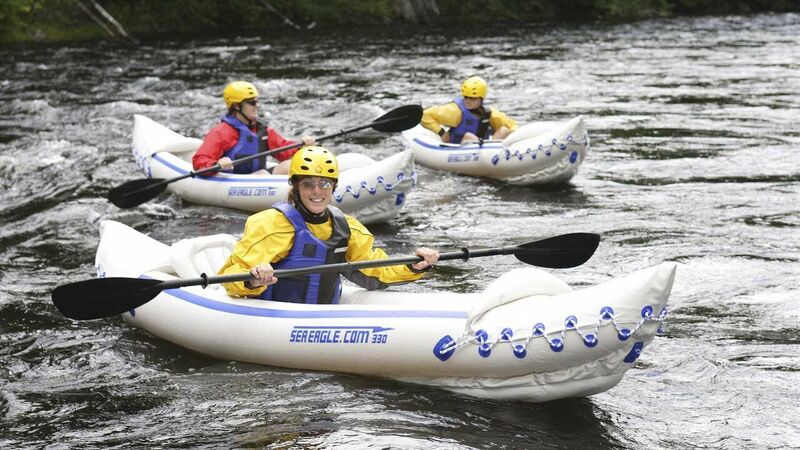 All Sea Eagle kayaks are suitable for rivers, lakes and inner coastal salt water use.